Rolando Pam, 56, and two of his sons have a knack for cutting amazing real estate deals, mostly in Roxbury. Critics and court judgments say one answer is fraud. Part 1 of a two-part series. Click here to read Part 2. Rolando Pam is an imposing figure in his dark trench coat and smartly shaped fedora, unabashed as he describes himself and his 11 children as “success stories” in a part of town, Roxbury, where black families too often fail. He presents himself as a patriarch of a striving, self-made real estate enterprise, and has some material proof to back up the claims of success — luxury cars, a business portfolio that has included houses and apartment buildings, and the friendship of many wealthy and powerful people looking to tap into the escalating Roxbury market. Yet in his neighborhood and in court, many see Pam and his family business in a very different light — as hypocritical operators who speak forcefully about black pride, then wrest black-owned properties away from their owners and peddle them to well-to-do investors. To do this, Pam once resorted to one of the oldest swindles in the books: forging a seller’s signature and filing the fake document with a government office. Critics also say Pam, 56, has groomed two of his grown sons in his style of acquiring properties, using charisma and charm to take advantage of the financially vulnerable. But for as many times as the Pams have lost judgments in civil court, law enforcement has taken little action, according to an extensive Globe review of their real estate activities. Rolando Pam has never been arrested or indicted on any criminal charges related to his real estate dealings, and neither has his son and frequent business partner, 31-year-old Tyler. Kyle Pam, 27, was arrested last November on criminal real estate fraud charges but was not prosecuted in a similar case decided in civil court. Altogether, Pam, his two sons, and their companies have been accused in civil litigation of trying to illegally obtain more than 20 properties worth at least $6 million, often through deception and fake documents, the Globe review found. They have also been accused in a lawsuit of squandering millions in private real estate loans and not paying more than $100,000 in owed taxes. The various cases involve low-income families forced from their houses (including one who was left homeless), a mysterious seven-alarm fire, a church in Lynn, and a wealthy gay rights advocate in the South End who believes he was conned out of millions of dollars by the family as his medication for a chronic illness affected his cognitive abilities. There’s more. In one case, a widow said Kyle Pam tricked her into signing away her late husband’s home. Another time, a Roxbury couple alleged that Rolando Pam slipped a sheet of paper into a pile of legal forms that duped the owners into cheaply selling their property. The Pams have not only been enabled by a lack of official scrutiny, the Globe found, but also by several well-known organizations and individuals who have been willing to overlook the family’s reputation in pursuit of profit. Specifically, since 2010, two Roxbury nonprofits entered into a series of highly questionable deals with the Pams, and some real estate moguls have partnered with them as a way to win a piece of Roxbury’s quickly gentrifying neighborhoods, like Fort Hill and Dudley Square. Kyle Pam (right) stood with his attorney, Rudy Miller, in Boston Municipal Court as Pam was arraigned on criminal charges connected with a real estate deal. The buildings caught up in the Pams’ real estate dealings dot the landscape of Roxbury and other areas of Greater Boston and often have gone untended for years, festering as blights on city streets. And until now, the allegations against the Pams, their companies, and the outsized role they play in Roxbury real estate, have existed in the shadowy margins of Boston’s real estate world. With that honor system comes precious little government oversight, especially in downtrodden and emerging areas. While the affluent use high-priced lawyers to settle real estate disputes, the poor have few options for financial relief. Betsey Crimmins, a lawyer with Greater Boston Legal Services who represented one of the Pams’ alleged victims in civil court, said she worries that there are more victims of the family’s schemes still unknown to law enforcement or the Globe. “Think about how many people this happened to who don’t have the wherewithal to tell someone,” Crimmins said. During two phone interviews, in February and late May, Rolando Pam scoffed at the allegations and the civil court defeats. 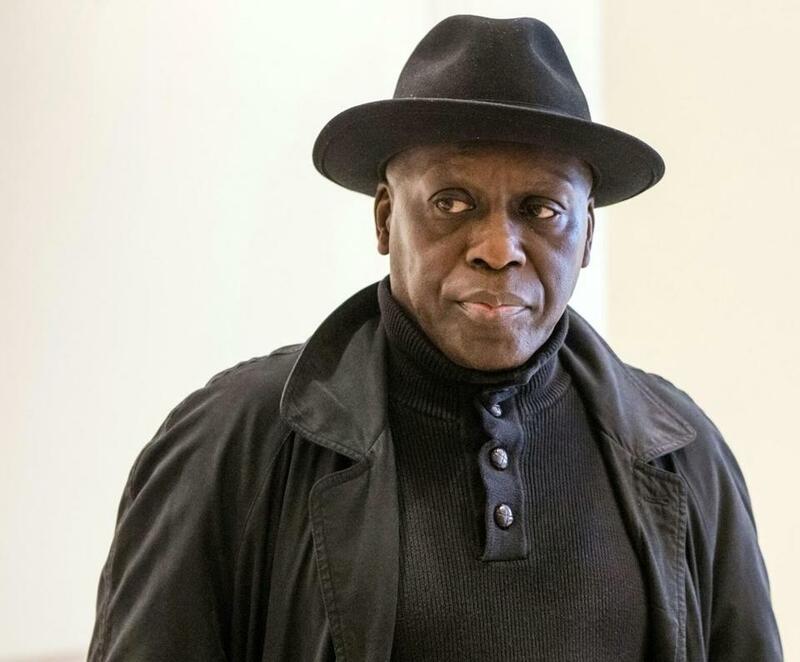 Born poor in Chelsea in 1959 and married by his 20th birthday, Rolando Keith Pam is a complicated, stern man who promotes himself in court proceedings and interviews as a community watchdog and family man. Opponents say his wide, toothy smile can disarm legal foes and judges alike, just as his bone-crushing handshake can intimidate them. In a legal deposition taken last year, Pam said he transitioned from small-time plastering work to real estate development around 1983, several years after he dropped out of ninth grade. Pam later described the job switch as the “smartest move” he’s ever made because it allowed him to adequately provide for his children. Because many banks and regular lenders locked blacks out of the mortgage market for decades, neighborhoods like Roxbury were stuck in an ad-hoc underworld of real estate development, and Pam and his first company flourished in it, he said. Yet even in this shadow market, Pam had a reputation, according to Adams, the longtime real estate agent. Colleagues had long questioned how Pam acquired properties at such discounted rates. “I was fairly new to the business, and people were like, ‘Stay away from that dude,’ ” Adams said. He has since vowed to never work on properties the Pams have bought or sold. Pam has faced some hard times; he filed for bankruptcy five times in the 1990s. And he has left a long trail of aggrieved claimants. In 2003, a local nonprofit called Children’s Services of Roxbury sued Pam and Stephen T. David of Dedham, his longtime civil court attorney, for defaulting on a development agreement. The lawsuit hinged on a Mayfair Street building in Roxbury, which records show was owned by Pam and David. The nonprofit alleged the men broke a contract with Children’s Services and blocked the agency’s plan for a homeless shelter on the property. After the default, according to court filings, Pam intimidated city workers and refused to return the appliances the state had bought for the homeless and had delivered to the property, including refrigerators, freezers, a phone system, a six-burner gas stove, and laundry equipment. The alleged fraud left families who were depending on a place to stay in “deplorable conditions,” the lawsuit said. Eventually, judges ordered Pam and David to pay $42,000 in restitution for not returning the appliances, breach of contract, and fraud. David, in a brief interview earlier this year, said he did not recall the case. In 2014, Rolando Pam found himself in a different sort of tangle, one that offered a glimpse of his bold, sometimes brazen, ways. According to a police report, much of which Pam confirmed during his May interview with the Globe, he pulled a loaded firearm on three parole officers who had knocked on the door of a Harold Street home in Roxbury. Pam, who lived nearby and thought the men were acting suspiciously, chased them from the area in his black Mercedes-Benz; he had with him two loaded weapons and ammunition kept in the glove compartment. When the parole officers alerted police about the incident, he was arrested on charges of assault by means of a dangerous weapon, though they were eventually dismissed by a judge. “I protect my neighborhood,” Pam insisted to the officers. He used similar us-versus-them rhetoric in the 2015 legal deposition to lash out at an opposing civil attorney. “You don’t come from where I come from, OK?” Pam told the lawyer. 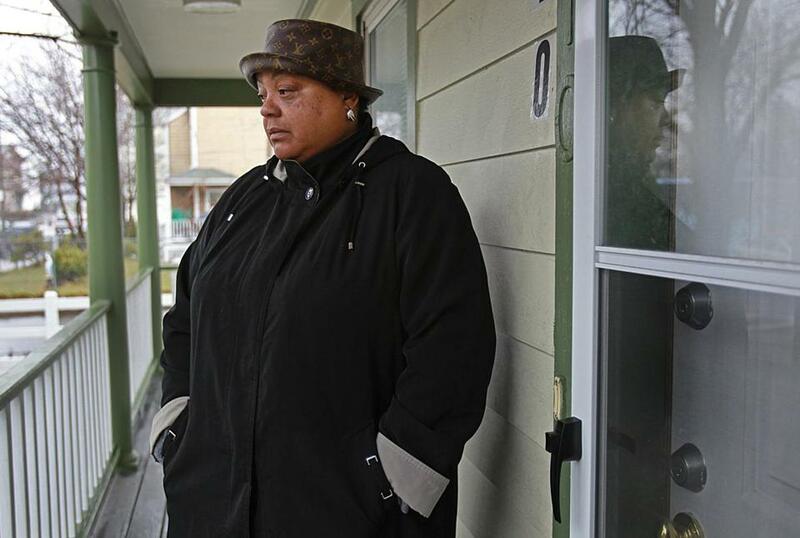 “It’s something that I will pay for the rest of my life,” says Ruby Steele-Morris, a Canton-based developer who says she lost thousands in a deal with Rolando Pam. As the Pam family and their real estate companies became more aggressive in the Roxbury market, records show they focused on buying up distressed properties. In April 2010, a Roxbury couple, Omeza and Dukeberth Robinson, said they unknowingly sold a house to Pam’s real estate company, when they thought they were just transferring it into their children’s name. How? Pam, who had kindly offered to prepare the paperwork, slipped in another form transferring the property to his recently formed company, according to court records. The Robinsons ultimately sued Rolando Pam, who settled the case and returned the property to the family, records show. Others weren’t so lucky. According to a judge’s rulings, Kyle Pam deceived a widow named Franki Evans into selling him her Blue Hill Avenue home for just $100, soon after her husband died. Evans never got her home back, which was foreclosed though in pristine condition. Even some real estate professionals lost money. Ruby Steele-Morris, a Canton-based developer, sunk about $50,000 into the same Blue Hill Avenue home, after Pam persuaded her to fund an extensive renovation in exchange for a stake in the property. Pam assured her the house was clear of legal issues and encouraged her to invest, Steele-Morris said. A court later ordered repayment, but the developer said she still has not received any restitution. The Globe has been unable to contact Kyle Pam, either through his criminal lawyer or his family members. But his brother and father rejected these and other allegations on his behalf, calling the legal complaints unfair and unwarranted. The Globe, however, has not found an instance where a civil court judge has sided with any of the three Pams when they have faced allegations of real estate misconduct. More broadly, Rolando and Tyler Pam have justified their actions by claiming they are performing a sort of civic service, stepping in to take over from people who show themselves unfit for homeownership by leaving their properties distressed, run-down, or hampered by tax liens. Crimmins, the attorney at Greater Boston Legal Services, said her organization plans to hold an informational meeting in Roxbury to warn residents about fraudulent real estate schemes such as those attributed to the Pams. “The thing is to get the word out and prevent these things,” Crimmins said, urging city leaders to intervene earlier to prevent exploitation of property owners in low-income communities. Crimmins represented Margaret Williams, the 69-year-old senior whom Kyle Pam allegedly dropped off at a shelter after he took possession of her house. According to prosecutors, Pam persuaded Williams to name him her legal representative, then sold her Sanford Street home to his girlfriend at a discounted price. He then pocketed a $117,000 profit when the girlfriend sold the house again, prosecutors said. The matter came before a criminal court after Crimmins brought it to the attention of the Suffolk district attorney’s office. Kyle Pam, who was charged in Boston Municipal Court in November with embezzlement, perjury, larceny over $250 against the elderly or disabled, and money laundering, has pleaded not guilty to all charges. Jake Wark, a spokesman for the Suffolk DA’s office, said Pam’s case has been sent to Superior Court, where he is scheduled to appear on June 22. Crimmins called the case one of her most shocking in 26 years of practice. Since 2010, there have been other lawsuits against the Pams that allege real estate deception, including two cases where the accusers are private companies. In a Norfolk County lawsuit filed in 2012, the Endeavor Capital mortgage company said Rolando Pam began renovations on a house on Common Street in Quincy even after Pam was told in person that he did not hold the rightful title. Pam lost the case after the court defaulted him. In a pending case, a private real estate firm, Melbourne Street Partners, argues that Rolando and Tyler Pam colluded with another man to steal four high-priced properties in Roxbury. In interviews, Rolando and Tyler Pam refused to comment on this pending litigation. Otha Smith, who settled a lawsuit alleging fraud and breach of contract with Rolando Pam regarding a house sale on Linvale Terrace in Mattapan, said Rolando Pam was completely unsympathetic to his concerns before he filed a civil lawsuit. In an interview and in court filings, Smith said the Pams promised to pay $130,000 for his home, in addition to paying his $125,000 mortgage and outstanding real estate taxes. After agreeing to the sale, Smith said he received less than $15,000 from Pam. After filing a civil lawsuit, Smith came to a settlement agreement with Rolando Pam, but like others, Smith said he has not received his restitution. In the phone interviews, Pam brushed aside the litany of civil lawsuits as a byproduct of his “politically incorrect” demeanor. But Pam and his sons are far from blackballed. Records show they did business with nonprofit leaders in Roxbury, a senior developer at City Hall’s Department of Neighborhood Development, and leaders of Boston real estate giant City Realty Group. Some of these people have continued to work with the family even after hearing questions raised about their business reputation. Stephen Whalen, a managing partner of City Realty, characterized Rolando Pam as one of the gatekeepers for doing real estate business in Roxbury. “He’s everywhere there’s distressed property,” said Whalen, whose agency has worked with Pam. 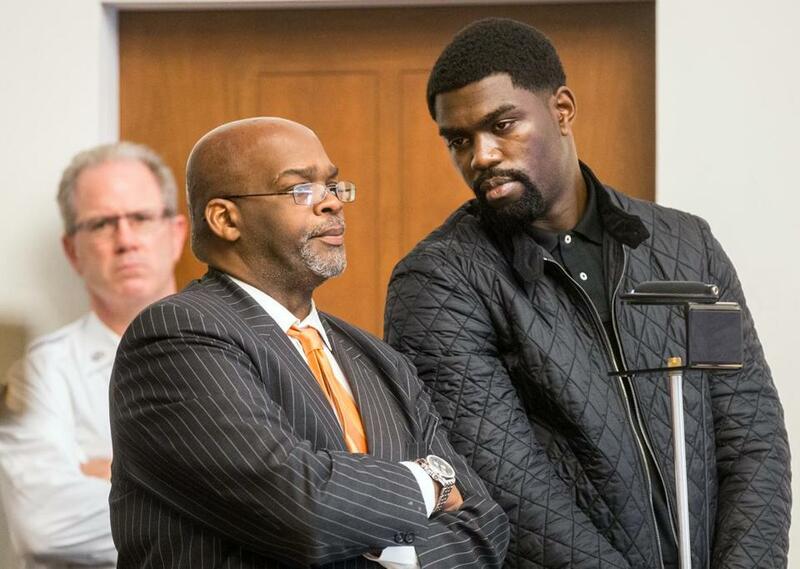 For those in Roxbury, the lasting results of Pam’s dealings are omnipresent. Many of the properties bought by the family are community eyesores in desperate need of repair. On March 3, 2014, the neighborhood experienced a devastating seven-alarm fire when a historic building in Dudley Square went up in a torrid blaze around 4:15 a.m. The Warren Street building, which was the home of a nonprofit called Veterans Benefits Clearinghouse Development Corporation before it was sold to Rolando Pam and later to his son Tyler, was destroyed. Two city firefighters were injured. However, an investigator for the company that insured the building said he found significant evidence of “an intentional fire.” The investigator, who spoke with the Globe on condition of anonymity, said evidence included an accelerant such as gas or kerosene, which was allegedly spread on the first floor. Rolando Pam told fire officials that he believed squatters likely ignited the blaze. City fire officials never opened a criminal investigation or identified a specific arsonist, and later the insurance company paid Tyler Pam for the fire damage. According to the insurance investigator and land records, Tyler Pam received $524,000 in the payout — almost $175,000 more than he spent to buy the property. To this day, the Warren Street lot remains a vacant eyesore. Most major real estate developers have a key investor, and for Rolando Pam, that figure comes in the unlikely person of Lawrence Basile, a South End business owner and real estate tycoon. Basile, 66, gained his wealth by investing early in the South End’s redevelopment and by starting an online gay dating website called Online Buddies. Earlier this year, in an interview in his loft apartment that includes an eclectic collection of antique rugs and historic artwork, Basile recalled when he met Rolando Pam in the parking lot of a home improvement store some 30 years ago. “You have any work?” Basile remembered Pam asking, before Basile took the fledgling developer under his wing, trying to “pay it forward” and help someone who grew up less privileged than he had, he said. Soon, Pam said, his children grew so close to Basile that they saw him as a surrogate uncle. But as Pam’s sons became adults, the nature of this relationship changed. From 2007 until 2013, Basile said that he loaned about $5 million to Tyler, Kyle, and Rolando Pam, little of which has been repaid. At first, Basile started loaning money to the family and their companies in small amounts, including a $5,000 check for renovation work on the same Mayfair Street house involved in the nonprofit lawsuit. But later, as the lure of Roxbury’s redevelopment intensified, Basile began pouring millions into the Pam family for investment in properties across the region. Basile said he thought he would recoup his money when the Pams flipped improved properties for larger sums. But many of the properties remain virtually untouched, with little or no improvements, documents show. In court records, Basile has presented several loan statements as proof he is owed millions. But sometimes, these statements are sloppily handwritten on printer paper and practically illegible. The wealthy developer has sued the family in civil court, in hopes of learning, among other things, if his millions have been secretly stashed elsewhere, he said. Pam’s sons Tyler and Kyle, while denying allegations of wrongdoing, have settled with Basile, according to Ethan Davis, Basile’s civil attorney from Sally & Fitch LLP. A trial date in the case against Rolando Pam is set for this fall, records show. These details make Basile cringe. Basile is adamant that he did not know what Rolando Pam or his sons were doing with his money, and he said his mental state was affected by powerful medications he was taking for a serious health issue. In one interview with the Globe, Basile was incomprehensible, slurred his speech, and was unable to follow questions. Other times he appeared lucid. For about a year, Basile’s brother, Matthew, served as his court-appointed conservator for financial affairs because of cognitive limitations. Rolando Pam, in court records and the interviews, has said Basile’s fragile health is an act. Pam vehemently disputes that the developer was ever mentally incapacitated when he dealt with him. Pam also contends that the millions of dollars from Basile were never loans, but a series of gifts and “high-risk” real estate investments. “It’s water under the bridge as far as I’m concerned,” Pam said in a recent interview. Records show the influx of cash from Basile in 2010 was what Rolando Pam needed to exit his period of financial woes and tap into Roxbury’s current redevelopment boom, buying and selling property in areas like Fort Hill and Dudley Square that have become increasingly lucrative after years of neglect. Basile says he now regrets his actions, which limited him financially and seemingly emboldened the Pam family. Last November, Tyler Pam tried to bribe the Globe as it reported this story. After a hearing in which Kyle Pam was arraigned on criminal real estate fraud charges, Pam — standing with his father — offered a Boston Globe reporter and photographer $5,000 in cash to leave the courthouse and not report on the case. Both journalists refused the offer. Astead W. Herndon can be reached at astead.herndon@globe.com. Follow him on Twitter @AsteadWH. Patricia Wen can be reached at patricia.wen@globe.com. Follow her on Twitter @globepatty.